The Pondering Frog Tearoom Ice Creamery, Bicheno, Tasmania. Information, Photos and Reviews. The Pondering Frog Tearoom is open for your convenience from 9am until 5pm in winter and 8.00am until 7pm in summer. Come on in and try our handcrafted ice creams. You can ponder whether you have our famous chocolate coated ice cream, a banana split ice cream or for a true indulgence , our berry sundae with home made raspberry or strawberry topping. 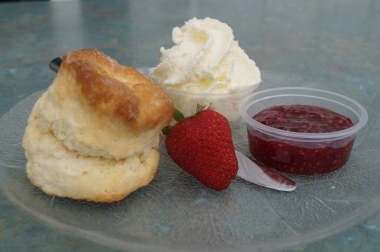 We offer Devonshire teas with a super large scone, a scrumptious pancake stack, toasted sandwiches, a tub of Aussie prawns, fish and chips, nuggets, home made curried scallop pies, salads, seafood chowder and soup just to mention a few things you can ponder to fill the rumbling tummy! 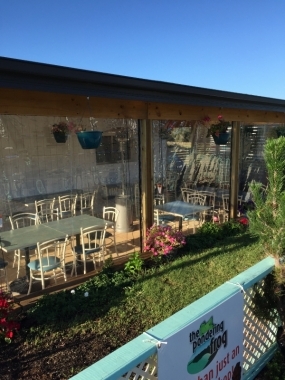 We are licensed so you can sit and relax and enjoy a glass of wine, a Tassie Cider or a beer with your meal. Or if you are on the run we have a takeaway menu as well. 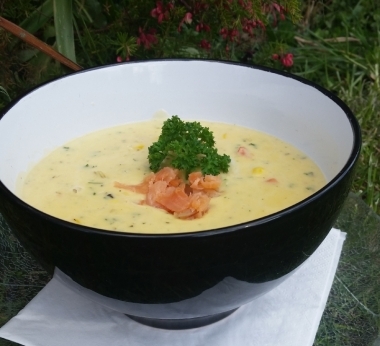 We source most of our ingredients locally for a true taste of Tasmania and our menu varies according to supply. We also offer tastings of our cherry wines and liqueurs and homemade jams, chutneys, pickles and toppings. You will also find local honey, peanut butter and fruit liqueurs. Our range is continually expanding . While pondering the shelves you may see a frog you would like to buy as a gift or to add to your own collection. 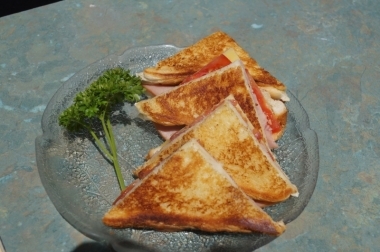 We are kids friendly with a special menu available with the little people especially in mind. There are two playgrounds to cater for both the small fry and the older children. We have an RV stop over area for self contained units for a donation. We love to help visitors to get the most out of their visit to Tassie so, when we can, we will share ideas of things to see and do in our area. 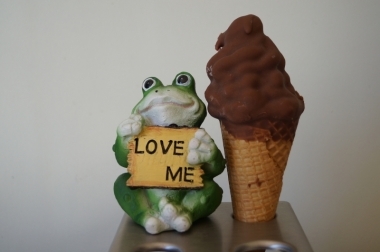 Nobody has reviewed The Pondering Frog Tearoom Ice Creamery yet, Be the first. You are submitting a booking enquiry. 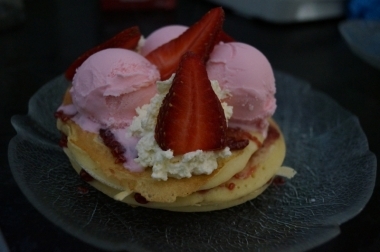 The Pondering Frog Tearoom Ice Creamery will then contact you by email with details of availability and prices.